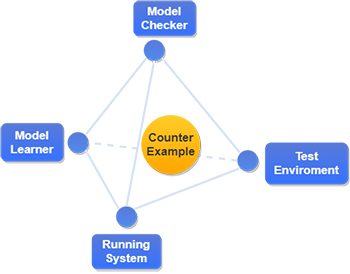 Test drivers are an essential part of any practical active automata learning setup. These components to accomplish the translation of abstract learning queries into concrete system invocations while managing runtime data values in the process. In current practice test drivers typically are created manually for every single system to be learned. This, however, can be a very time-consuming and thus expensive task, making it desirable to find general solutions that can be reused. This paper discusses how test drivers can be created for LearnLib, a flexible automata learning framework. Starting with the construction of application-specific test drivers by hand, we will discuss how a generic test driver can be employed by means of configuration. This configuration is created manually or (semi-)automatically by analysis of the target system’s interface.